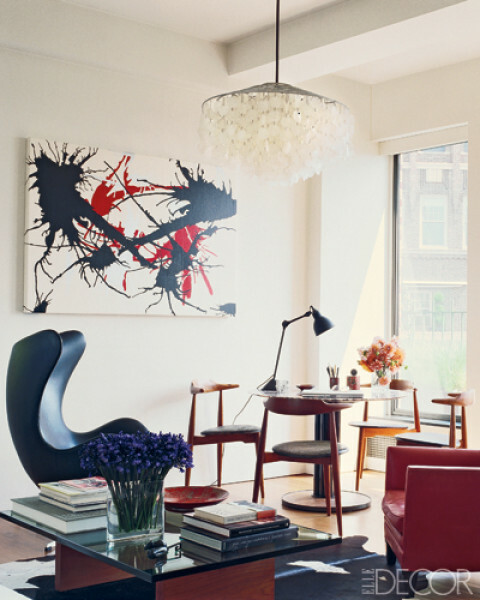 Take any room, add a cool chandelier, and it will change the character of the space. It will draw your eye up, and make everything else in the room look better than it did before. 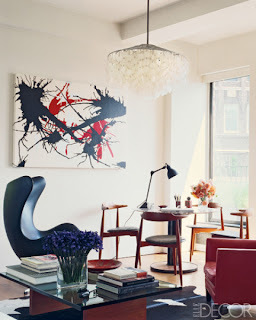 This contemporary space gets added drama with this modern light fixture is by Verner Panton. 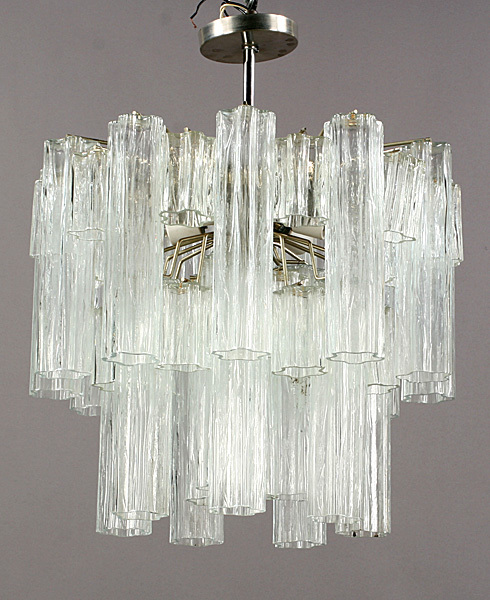 Chandeliers clearly don't need to be the one your grandmother had! 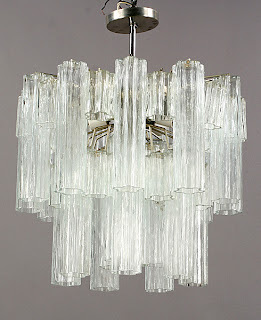 I looked at several upcoming auctions for cool chandeliers and here are just a few. auction June 11th in Philadelphia. It's Lot 545, is made by Camer, and is 29" tall. The auction estimate of $600 - $1,000. 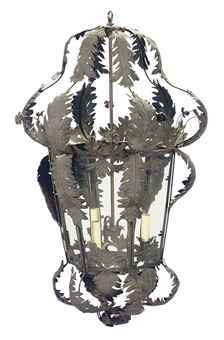 Doyle New York has their next Belle Epoque auction June 8th. These usually include a nice selection of affordable items from the late 19th to the early 20th century, and not all strictly 'Belle Epoque'. 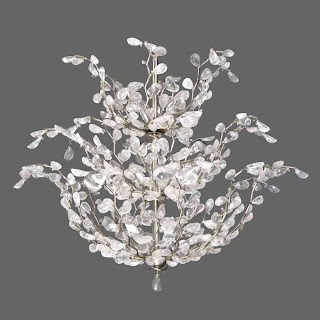 I think this rock crystal 12 light chandelier has real drama. It's delicate and seems like it dances. 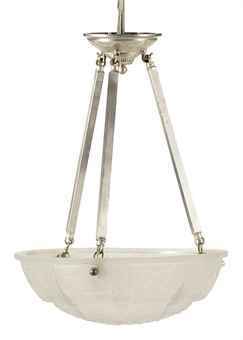 This measure 29.5" tall and is 38" in diameter. This is Lot 519A, and has an auction estimate of $3,000 - $5,000. 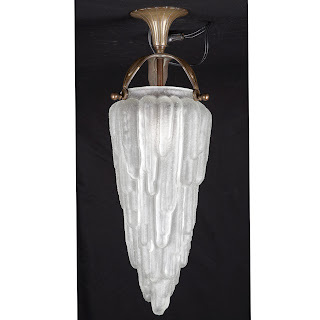 The Doyle auction also include this fabulous Art Deco bronze and molded glass light. The mounting has great detail. It looks like a big icicle. This is Lot 458, measures 16.5" tall, and has an auction estimate of $600 - $800. This would add real impact to a hall or entryway. 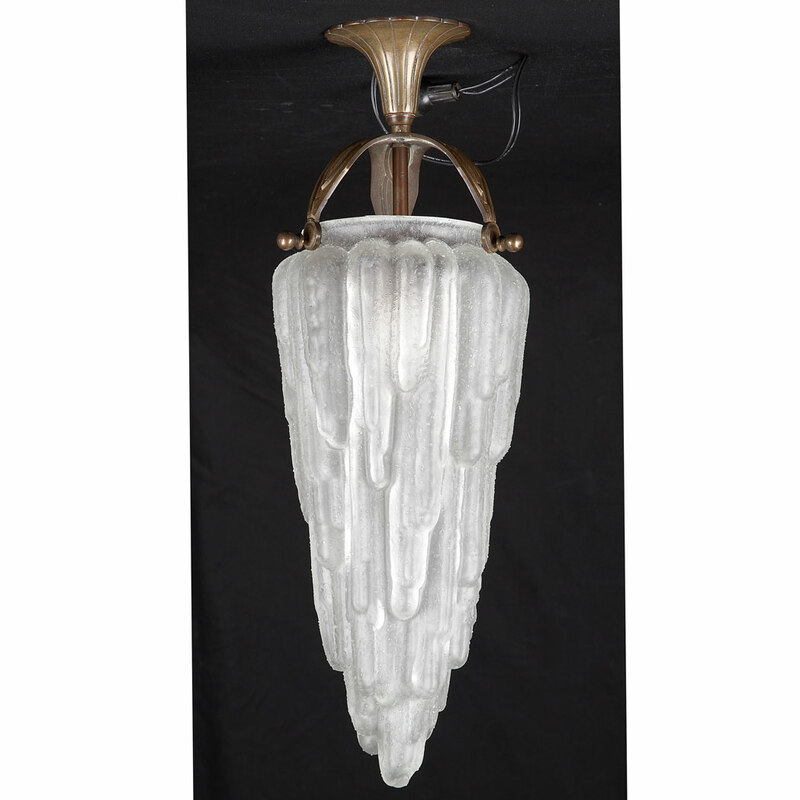 For a simpler look, this Art Deco frosted glass chandelier is just beautiful. This was made in 1925 and measures 19.25" tall and 13.75" in diameter. It is Lot 600 in the next Christie's Interiors sale in New York June 21st and 22nd. It has an auction estimate of $800 - $1,200. This would look great in an entryway, or a modern dining area. The Christie's sale also include this tole peinte and glass lantern. This is Lot 488 and is described as late 19th to early 20th century. Try this in a kitchen or bathroom to give it extra pizazz! The auction estimate is $1,500 - $2,000. 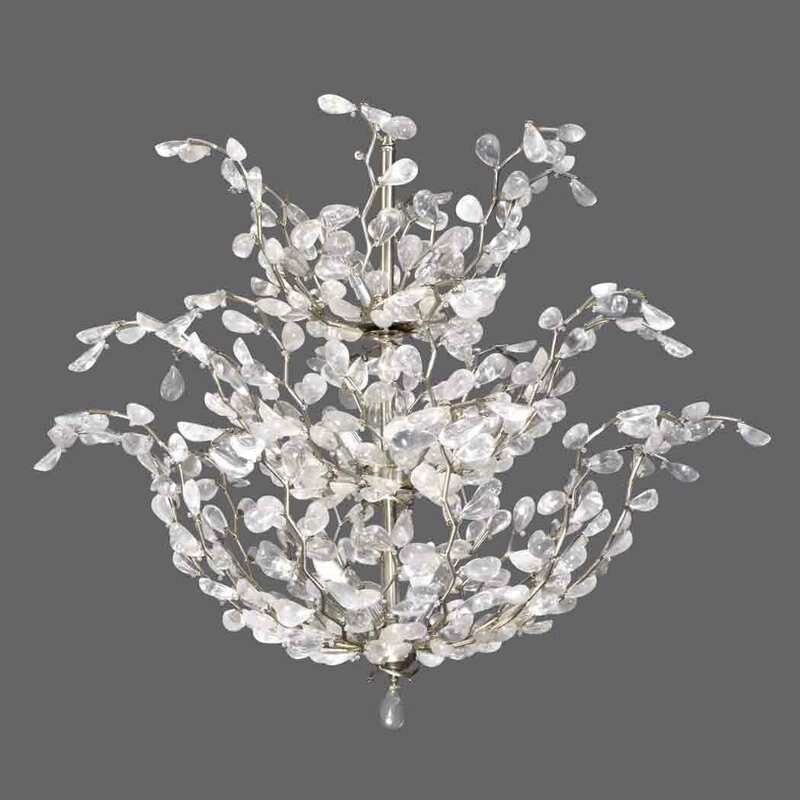 Chandeliers come in many shapes and sizes. Think about your style, and add some drama to any room in the house or apartment!